The AURA pendant lamp delicately disperses light through its rolled metal sheet, finely distributing light through the mesh. By using a material that is normally used for office accessories, Tomas Kral was looking to sculpt light. 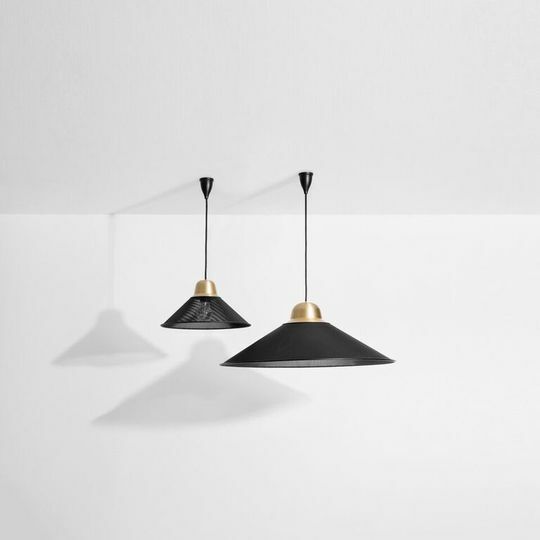 The result is a lightweight pendant lamp, with a simple and almost archetypal form, that through the metal mesh diffuses a soft and mellow light. "AURA is a series of lamps rolled in sheet metal. The mesh of AURA dresses the light bulb with finesse and lightness. Normally destined for office objects, this material plays with light in the same way as a delicate lace veil, allowing a diffused lighting."